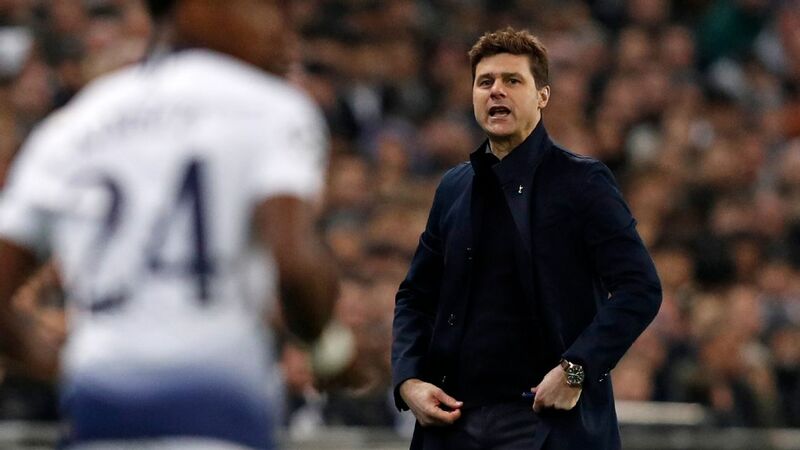 PSV and Netherlands winger Steven Bergwijn has caught the eye of Manchester United and Tottenham, with the Red Devils making a £25m move to land their man, according to the Sun. 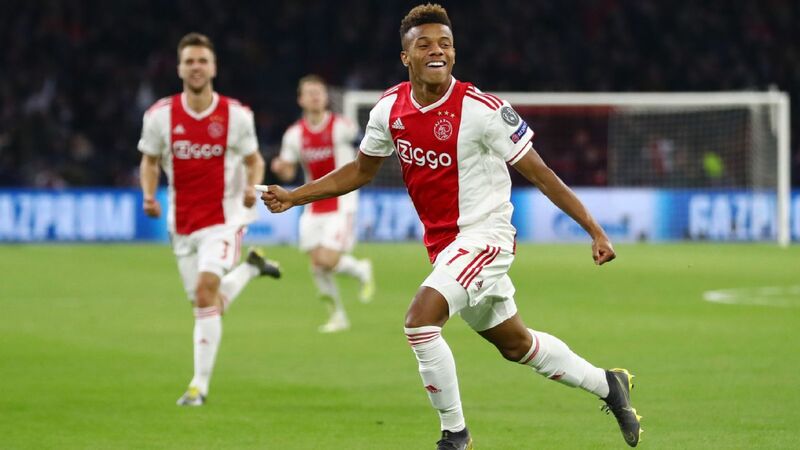 Bergwijn, 21, has scored 10 goals in 24 games this season and United's caretaker boss Ole Gunnar Solskjaer is reportedly very keen to get a deal done in January. Inter Milan, West Ham and Bournemouth are also keen but it's really a straight shootout between United and Tottenham for his services. However, PSV will be loathe to let their star man depart as they sit top of the Dutch Eredivisie and may force suitors to wait until the summer. 23.35 GMT: That will do it for tonight's version of Transfer Talk Live, remember to check back in a few hours for the latest rumours, reports and completed deals from around the football world. Good night! The Sun claims that Real Madrid are eyeing a sensational £90 million move for Juventus star Paulo Dybala in the summer. 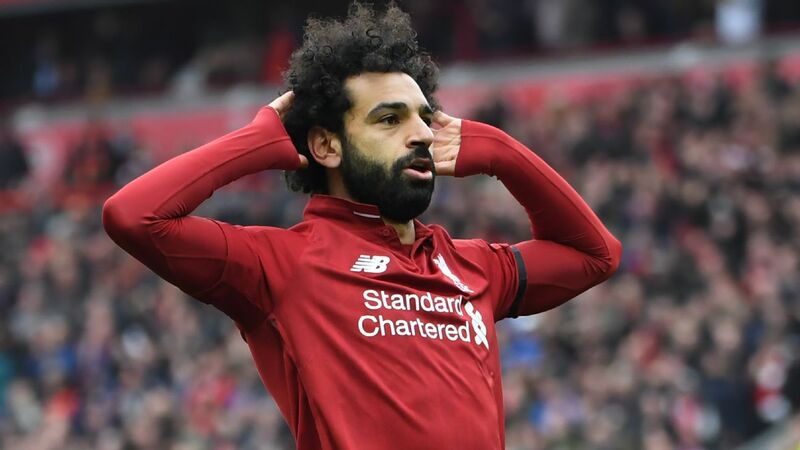 The 25-year-old is reportedly seen as the next "Galactico" by Florentino Perez and could be part of a major overhaul at the Bernabeu this summer. It would be hard to see Juve parting with a talent as bright as "La Joya" but the lure of Madrid and the chance to be the main main again -- now that Cristiano Ronaldo has usurped him at Juve -- could be enough to lure the Argentine from Turin. 23.00 GMT: The Daily Mail reports that Man United have rejected an enquiry from Arsenal for defender Eric Bailly. Unai Emery and Co. were seeking to take the 24-year-old Ivorian on loan for the rest of the season before buying the player outright in the summer. Bailly could still be on the move in January but United are not willing to sell the player to a direct Premier League and top-four rival. 22.13 GMT: Reports in Italy suggest that AC Milan are moving closer to finalising a £30 million move for Genoa striker Krzysztof Piatek. The 23-year-old Pole has been a revelation in Serie A this season with 13 goals and has been widely linked with a move to Milan. If and when Piatek is signed, it should set off a chain reaction of moves as Gonzalo Higuain is expected to join Chelsea on loan with Alvaro Morata set for a move to Atletico Madrid. Watch this space for the latest news on this striker swap as all three moves are expected to be finalised in the coming days. 21.28 GMT: DONE DEAL -- MLS club Toronto FC have made a sale, selling Spanish midfielder and former La Masia product Victor Vazquez to Qatari club Al-Arabi. The playmaker had stops with Barcelona, Club Brugge and Cruz Azul before landing with Toronto in 2017. The 32-year-old Vazquez contributed 16 goals and 14 assists in 52 games for the Reds and was a leading figure in a Toronto FC team that won the Supporters' Shield and MLS Cup in 2017-18. 21.00 GMT: We'll give you one guess... Wolves are being linked with a player who plays internationally for which country? It's Portugal of course, as the West Midlands club are reportedly looking to make speedy Atletico Madrid winger Gelson Martins its NINTH Portuguese player. Spanish paper AS writes that Atletico Madrid are planning to loan out the 23-year-old after they sign Chelsea's Alvaro Morata, with reported interest from unnamed Premier League clubs. Wolves are naturally being linked and sources have also told ESPN FC that there could be some interest from Arsenal as well. 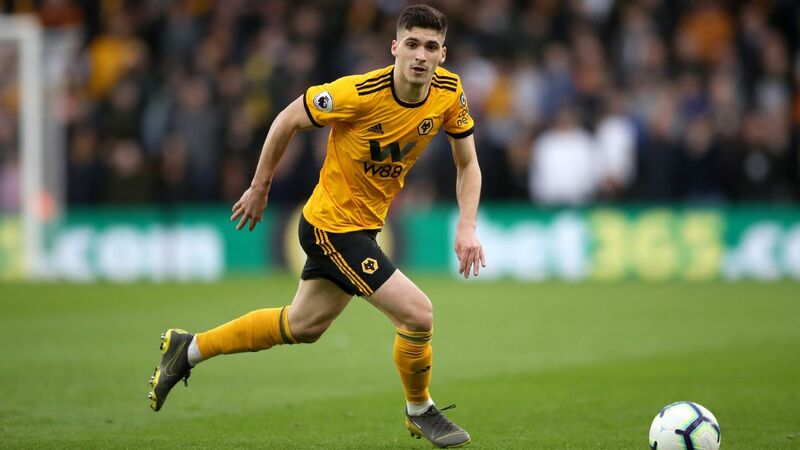 With eight Portuguese players, a Portuguese manager in Nuno Espirito Santo and the unofficial role of Cristiano Ronaldo's agent Jorge Mendes, Wolves are starting to look more like a Primeira Liga club than a Premier League one! 20.19 GMT: According to French outlet L'Equipe, Mario Balotelli's next destination is soon to be confirmed. The French paper says that the volatile striker has agreed to a six-month loan deal with Marseille and is due to have a medical on Wednesday. Balotelli has turned malcontent this season at Nice following two productive seasons in Ligue 1 for the club and finally looks to be getting his desired move. Still just 28, the extremely talented but problematic Italy international will hope this move will help reignite his career (again) and repair his image (again). Balotelli scored 33 goals in his first 51 games for Nice but has none in 10 this season for the Côote d'Azur-basd club. The New England Revolution and star homegrown player Diego Fagundez seem to be at odds. In an interview with Sport 890,via mlssoccer.com the Uruguayan-born attacker said he's "doing as much as I can" to force his way out of New England to Uruguay's Nacional. Fagunsdez later went on to clarify his comments, saying the Revolution had simply turned down an offer from the Uruguayan giants. "If everybody in the party was happy, of course I'm going to go," Fagundez said. "How can I say no? "[Nacional] plays in [Copa] Libertadores, they play clásicos. It's different. But the Revs already made a decision. I had nothing to do with it because I'm under contract, so it was an easy way for me to go with it." Now 23, Fagundez debuted for the Revs at 16 and has amassed 50 goals and 43 assists in 217 league appearances for the MLS franchise. 18.38 GMT: DONE DEAL -- Hull City have announced that they have acquired Bournemouth midfielder/winger Marc Pugh on loan. The 31-year-old has been a fan favourite with the Cherries, joining in 2010 when the club were in League One and playing a key role in their promotions to the Champions and then the Premier League. Pugh has only gotten into three games this season under Eddie Howe but should be set for a much larger role with Tigers in the Championship. According to Sky Sports, former Chelsea midfielder John Obi Mikel has agreed to personal terms with Championship side Middlesbrough. The Nigeria captain has spent the last two years in China with Tianjin TEDA but is expected to finalise his return to England on a short-term contract soon. Mikel's wife and children still live in the UK so it is not secret the 31-year-old has wanted to return to the country where he spent 11 years as a a Chelsea Blue. Barca coach Ernesto Valverde says there are unlikely to be more arrivals this month after the surprise signing of Kevin-Prince Boateng, but Denis Suarez could still leave for Arsenal. "It's true that there's a possibility for Denis to leave, but I don't know what will happen," Valverde said in a news conference on Tuesday. "I don't know if he will still be with us at the end of the season." Valverde also said he couldn't rule out Malcom leaving, either. But he warned he didn't want to be left "without any players." Sources told ESPN FC last week that Barca are open to selling the Brazilian, but only if a bid matches their asking price (around €40 million). There haven't been any satisfactory offers yet. 15.57 GMT: Hold the phone, Mario Balotelli could be on his way back to the Premier League, with La Gazzetta dello Sport reporting West Ham may be in line to gazump Marseille to the Nice forward's signature. 15.37 GMT: Bournemouth have completed the signing of Chris Mepham from Brentford for £12 million on a long-term contract, according to Sky Sports. 15.14 GMT: It looks like Matteo Darmian won't be leaving Manchester United to join Juventus -- not this month anyway. Reports had emerged Darmian could join the Bianconeri in this window. However, in order to facilitate that move, Leonardo Spinazzola -- who has recently returned from injury -- would need to go out loan. And that isn't happening. "Spinazzola is a Juventus player and is staying at Juventus," Allegri said after his side's 3-0 victory over Chievo. 14.53 GMT: A report in The Sun suggests Manchester United will battle RB Leipzig for sporting director Paul Mitchell. 14.34 GMT: Manchester United, Liverpool, Chelsea and Manchester City scouted Turkey U16 attacking midfielder Omer Faruk Beyaz at the 2019 Aegean Cup, sources have told ESPN. Beyaz excelled for Turkey, scoring four goals and providing two assists over the course of the tournament including a brace in the 2-0 victory over Spain in the final. Premier League scouts were evidently impressed with the 15-year-old, who signed a pro-contract with Fenerbahce over the summer until 2021 after being promoted to the U19 side, and will continue to monitor Beyaz at youth and international level. 14.20 GMT: Veteran defender Aurelien Collin, who has played in MLS with Sporting Kansas City, Orlando City and the New York Red Bulls, has signed for Philadelphia Union. Importantly, the 32-year-old Frenchman has a green card, so he won't take up an international spot on the squad. 14.01 GMT: Leicester midfielder Adrien Silva is set to join Bordeaux on loan for the rest of the season. Silva joined the club in August 2017 but his paperwork missed the FIFA deadline by 14 seconds and he had to wait until the following January before he could be registered. Then, when he was, new boss Claude Puel decided he didn't really fancy him all that much and left him out of the squad repeatedly. According to L'Equipe, the 29-year-old is now just waiting for the green light to depart. After which he'll probably never want to hear the name Leicester again. 13.37 GMT: If Arsenal can pull off a double deal for Barcelona's Denis Suarez and Bayern Munich's James Rodriguez (presumably on loan, given that's all the club can do) then they will let Aaron Ramsey move to Juventus for £10m this month, reports the Independent. The report also states that, despite plenty of injury issues at Arsenal, the club are willing to let Mohamed Elneny depart. Evidently: "The Egyptian international has attracted interest from both Southampton and Leicester City." 13.05 GMT: AS report that Cristiano Ronaldo -- who should really have other things on his mind -- hasn't given up hope of persuading Juventus to sign his former Real Madrid teammate Marcelo. 12.54 GMT: Bristol City youngster Antoine Semenyo has been doing well on loan at League Two side Newport and has attracted the attention of Manchester United. But the Mirror claim that Chelsea are now also interested in the 19-year-old, with Bristol eyeing around £2m in compensation if a move takes place. 12.25 GMT: A pair of updates from Kevin-Prince Boateng's unveiling at Barcelona as director of football Eric Abidal is asked about other players. On whether Malcom and Denis Suarez could leave: "You never know ... We do our work internally, planning ... and there are decisions which manager takes. We were happy with the squad but always possibilities [of more moves], especially when it comes to those that don't play often. They could stay or they could go. We will study all scenarios." On if he is optimistic of signing Frenkie de Jong from Ajax: "That's a question more for the player than for me. He will make his decision, we can just wait, like everyone. He knows there's interest from a lot of clubs and will make his own mind up. We're working hard on behalf of the club [in the transfer market.]" 11.55 GMT: Atletico Mineiro only signed right-back Emerson last April, but already they have been inundated with offers for him. Barcelona, Liverpool, Arsenal, Borussia Dortmund and Juventus are among the 14 clubs ... yes that says 14 ... who are reportedly interested in the 20-year-old, his agent has told Mundo Deportivo. 11.36 GMT: Robinho, Emmanuel Adebayor and Gael Clichy are already at Turkish Super Lig leaders Istanbul Basaksehir and now so is Demba Ba. Though what this video means beyond that is really anyone's guess. 11.29 GMT: Marseille could explore other options as Mario Balotelli keeps them waiting over a winter move, L'Equipe claims. The Ligue 1 side had given the out-of-favour Nice forward and his agent, Mino Raiola, 24 hours to complete the deal on Sunday, but with the deadline come and gone, Balotelli's future still remains undecided. The paper reports the parties are agreed on a six-month deal while Nice are happy to let the former Liverpool and Manchester City forward go, but no contracts have yet been signed with discussions ongoing on Monday evening. 11.18 GMT: Southampton defender Wesley Hoedt has joined Celta Vigo. The Spanish club have the option to turn his loan move into a permanent deal in the summer, while Southampton's Sofiane Boufal is already on loan at Celta. 11.01 GMT: Liverpool have confirmed Zeljko Buvac's permanent departure from the club as Pepijn Lijnders turned down opportunities to stay in management to become assistant manager at the club, sources have told ESPN FC. Buvac, Jurgen Klopp's long-time assistant, had been absent on leave since April after Liverpool announced he would be spending "time away" from the club due to "personal reasons." But sources told ESPN FC on Saturday that Liverpool and Buvac had reached agreement to finally settle his contract with the club. 10.51 GMT: Jamaican sprint great Usain Bolt has signalled that his hopes of a professional football career are over, saying: "It was fun while it lasted." 10.40 GMT: Horrible news here as the French civil aviation authority has said Cardiff City's record £18m signing Emiliano Sala was aboard a small passenger plane that went missing off the coast of the island of Guernsey. 10.11 GMT: Gianluca Di Marzio reports that Juventus goalkeeper Emil Audero is attracting the interest of Arsenal as they look to replace the retiring Petr Cech at the end of the season. Audero is only 22 and his contract is up at the end of the season, so could provide long-term competition for Bernd Leno. 09.46 GMT: Paris Saint-Germain have made a €25m offer for Everton midfielder Idrissa Gueye, L'Equipe reports. With Marco Verratti having suffered an ankle injury at the weekend and put off by Zenit St Petersburg's minimum €45m valuation of Leandro Paredes, the French champions are hoping to bring former Lille man Gueye back to France. 09.30 GMT: Sources have told ESPN that Brentford and Bournemouth have agreed a fee of £12m for Wales defender Chris Mepham -- he will undergo a medical in the next 48 hours. 09.26 GMT: The likelihood of Atletico Madrid coach Diego Simeone signing a new contract is not dependent on Alvaro Morata joining from Chelsea this month, a club source confirmed to ESPN FC. AS had reported that Morata's impending arrival was key to Simeone agreeing to extend a contract which is now into its final 18 months, with a new deal to be signed as soon as next week, once the ex-Real Madrid and Juventus striker was safely at the Wanda Metropolitano. However ESPN FC has learned that there is no connection between the two operations -- with talks over the complicated operation which could bring Morata to the club still ongoing, and no concrete developments in Simeone's contract situation. 09.20 GMT: Real Madrid have a plan and that plan involves signing Christian Eriksen from Tottenham. But with Spurs wanting around £200m for the Denmark midfielder, Real need to do some bargaining. Lucky then, that they have a decent chip to play with. AS report that James Rodriguez (currently on loan at Bayern Munich) will be part of the negotiations to sweeten the deal. 08.55 GMT: Gianluigi Donnarumma has indirectly confirmed that Gonzalo Higuain will be leaving AC Milan to join Chelsea, saying: "Gonzalo will have had his reasons if he's decided to leave and I wish him all the best of luck because he's a great friend and I have a lot of respect for him." Meanwhile, Milan have already moved to replace Higuain, with Krzystof Piatek set to join. Genoa coach Cesare Prandelli told Sky Sport Italia: "When I arrived here, there was no intention to sell him, but then the club decided to evaluate this option. There's no need beating ourselves up about it, we've just got to make the most of the players we do have available." 08.26 GMT: Argentinos Juniors midfielder Alexis Mac Allister will join Brighton in July in a $9m transfer. A reported target of Boca Juniors and Santos, the 20-year-old Argentinian told TyC Sports: "The Premier is the best league in the world although it's very difficult. I have no doubt that if I'm strong enough mentally, I will have no problem playing in England. The chance of going to Boca was there but I will continue to play at Argentinos [for the next six months]. The dream of playing for Boca is still there and I hope at some point in my career it will happen." 08.00 GMT: Cadena Ser report that Atletico Madrid and Chelsea continue negotiating Alvaro Morata's loan move. According to the Spanish radio station, Atletico want the forward to join their club on loan until June 2020, in a deal which would include the option, not an obligation, to buy the player in June. Chelsea would reportedly be willing to accept that deal but will only allow Morata to leave once Gonzalo Higuain's transfer to the Blues materialises. Pogba and Hazard do U-turns over moves? 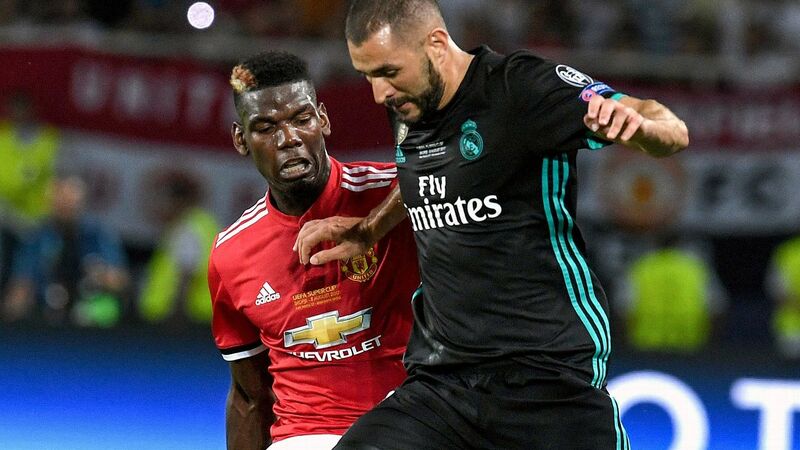 Paul Pogba has seemingly had a big U-turn and has gone from wanting to leave Old Trafford to now being keen to sign a new contract, according to The Sun. 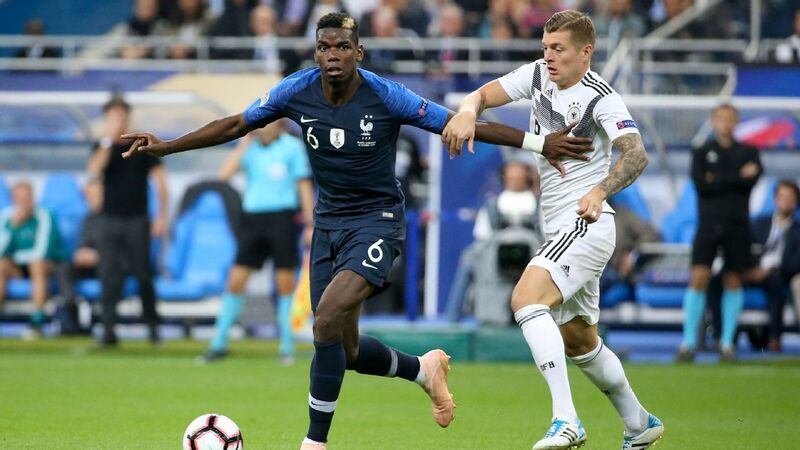 Pogba looked destined to leave the Red Devils while Jose Mourinho was in charge after being frozen out and struggling for form. 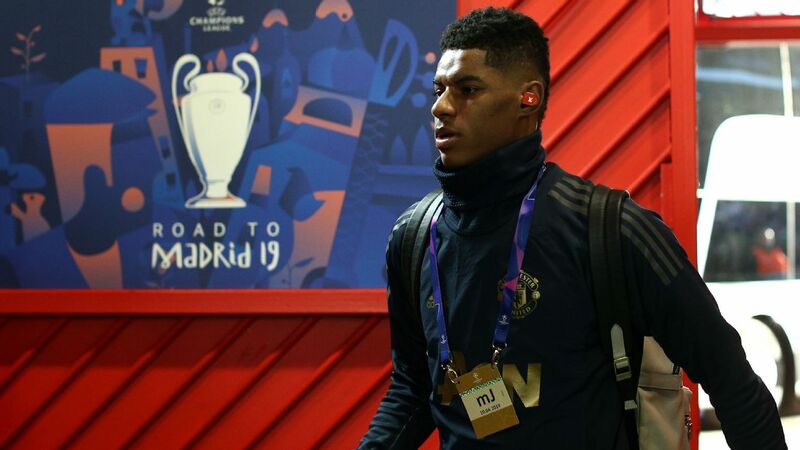 But the France star has found a new lease of life under Ole Gunnar Solskjaer and has scored five goals and set up another four in the six league games since Mourinho's departure. 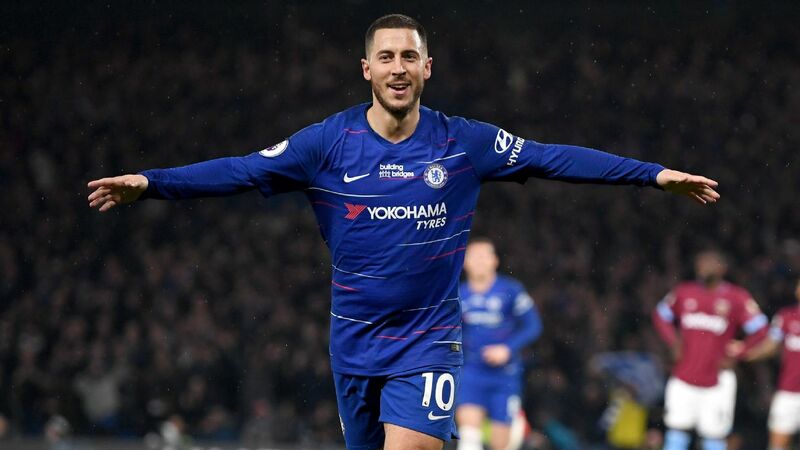 Another player who has opened the door on remaining with his current employers after being heavily linked with a move away is Eden Hazard, and The Daily Star claim he may have also done a U-turn and now wants to stay with Chelsea. In an interview with France Football, Hazard hinted once more that he is keen on a move to the reigning Champions League holders, but it is the comments that followed which The Daily Star back page has focused on: Hazard went on to explain that he may not yet leave the Blues and there are things which make him want to stay, among them sharing the same footballing ideas with manager Maurizio Sarri. Oh, and his love for his idol Zinedine Zidane would also not be enough to tempt him into moving to Manchester United should the legend end up becoming Red Devils manager. 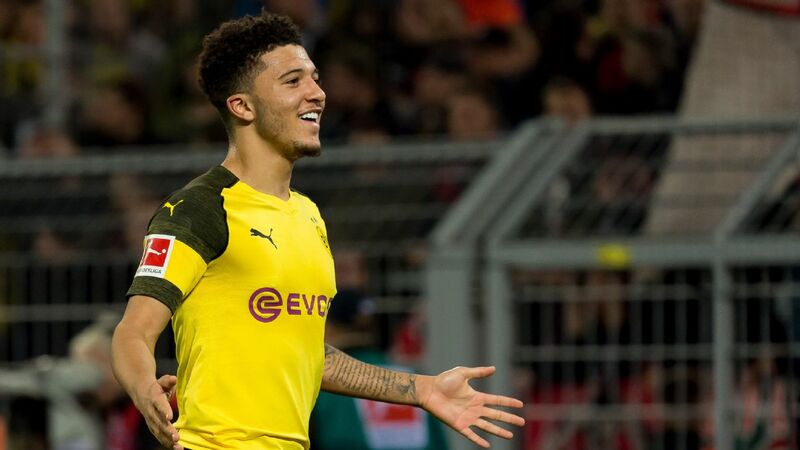 Wow Bayern Munich are super keen to find the next Jadon Sancho aren't they? The German giants are targeting Manchester City starlet Rabbi Matondo, 18, in their quest to be just like Borussia Dortmund when it comes to finding young talent. The Sun says that Bayern are ready to launch a £10m bid, with Matondo's contract ending next year and talks stalling over an extension. Borussia Monchengladbach, Everton and Southampton are reportedly also in the running for the Welshman, so Bayern better move quickly. Marko Arnautovic could not have made his position much clearer when it came to what he wanted from the January transfer window, but West Ham are hoping their offer of allowing him to leave in the summer will be enough to persuade their star man to remain for now, reports the Evening Standard. Arnautovic's brother and agent Danijel took to national radio earlier this month to state the forward wanted to leave the Hammers after a £35 million offer from an unnamed Chinese Super League club, believed to be Shanghai SIPG. With the salary offered believed to be in the region of £300,000 it is understandable why the 29-year-old would want to leave and land the life-changing offer. 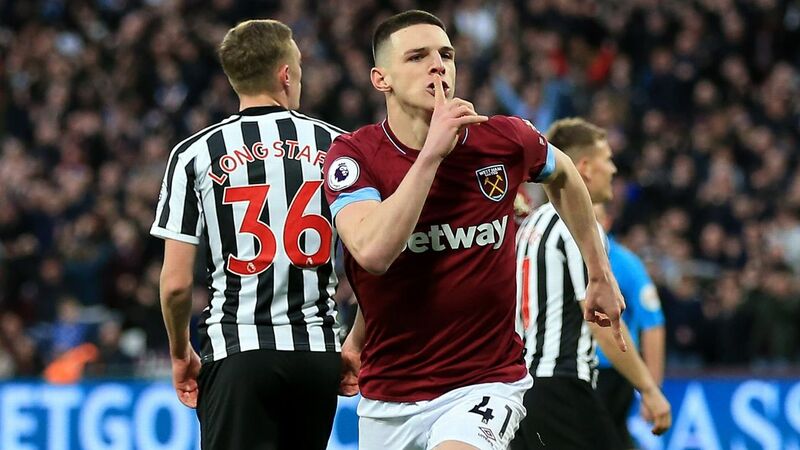 But the Austria international is integral to West Ham, with eight goals in 18 games in all competitions this season, and the club's hierarchy are hoping by offering a way out in the summer, it will be enough to persuade the former Stoke man to stay for the time being. He may not carry the same glamour as the likes of Neymar and Kylian Mbappe, but it appears that Idrissa Gueye is the next star on Paris Saint-Germain's radar and L'Équipe claims the French side are confident of landing the Everton midfielder. Ligue 1's dominant force had an opening offer of around £22m rejected, according to the French publication, but they also claim the Toffees have lowered their initial asking price, meaning PSG are now hopeful of securing the services of the 29-year-old. Gueye has impressed for Everton since his arrival from Aston Villa in 2016, but the former Lille midfielder could be set for a return back to France if L'Équipe is to be believed. It seems everything has all been agreed for Morata to return to Spain with a loan move to Atleti. The only thing delaying the 26-year-old's departure is Gonzalo Higuain's loan switch to Chelsea, which in turn is being held up by Genoa's Krzysztof Piatek's permanent transfer to AC Milan. The controversial striker wants away from Nice and fellow Ligue 1 side Marseille are providing that new home. The 28-year-old is also wanted by West Ham and Sassuolo, if reports are to be believed, but a switch to Marseille appears imminent. This isn't a new whisper but is back in the news because the National Professional Footballers' Union (UNFP) of France has called on PSG to allow Rabiot to train with the first team again, claiming the club's treatment is illegal and borders on "harassment." The 23-year-old is out of contract in the summer and the midfielder made it clear he wants to leave, so the increased pressure on PSG may force their hand into an early sale. Spanish outlet Diario AS claims Real have finalised a deal for Porto defender Militao to join them in the summer. It is claimed Real Madrid will pay the 21-year-old's €50m release clause now because it rises to €75m in July. One of the more unexpected rumours of the window is ex-Arsenal flop Carlos Vela being a target for Barcelona. The Mexico international has been a star at LAFC since his move last year and is a loan target for Barca until the end of the season.